The company bautek was established 1971 by the twin brothers Harald and Horst Zimmer and is building hang gliders since 1981 in Kenn near Trier, Germany. Legendary wings like the Saphir, Zephir CX, Kite or the Fizz are dreams made reality by bautek. 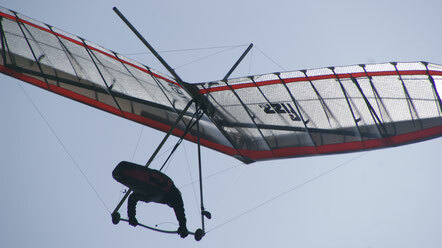 Today, we are one of the formost worldwide manufacturers of hang gliders and trike-wings. Our newest model Fizz SE comes in a new dress as a Special Edition (SE). The Fizz SE is the result of our constant effort to optimize our high-performance glider. A light, transparent double surface made from ODL, extra-stiff 10mm carbon battens and an improved finetuning of frame and sail result in higher aerodynamic stability, better handling and further improved glide performance. Thanks to many clever construction details the set up and break down of this glider is exemplary simple, and without effort. 1971 the twin brothers Harald and Horst Zimmer start the Bautek Company, for construction-technology products, in Trier, Germany. Harald with a Dipl. (master) degree in business administration runs the business end; Horst a Dipl. Ing. (Engineer) handles the technical side of the company. The company’s first product is a newly developed, height-adjustable, plastic bearing for installation of concrete tiles on flat roof terraces. The so-called Bautek-Terrassenlager sold in the millions and is today still the second pillar of the Bautek Company. Alu. flat roof profiles and other roofing hardware followed. 1976 during a skiing vacation in Switzerland both Bautek owners learn hang gliding. This was the realization of the dreams of their youth, they had build and flown successfully for years model aircrafts with enthusiasm. After a few years they try already their first hang glider construction and win in a big international best glide competition of manufacturers with their entry of the Fafnir first price. The demand for this new construction was immense and they began 1981 with serial production. Two years later Bautek was the largest manufacturer of hang gliders in Germany. The fast progression in hang glider development was very labor intensive; therefore after a few years the production of flat roof products was reduced to the manufacture and distribution of the Bautek Terrassenlager. New hang gliders were developed: Following the Fafnir were the Saphir16, Saphir17, Zephir, ZephirCX, Pamir, Milan, Milan-Racer, Sunrise, Astir and the Twister. October 1989 the Company moved into their own production facilities in Kenn at Trier. In 2000 the product line was increased with the two-seater wing Pico. Followed in 20002 with the smaller Pico S and in 2003 with the high performer Spice. 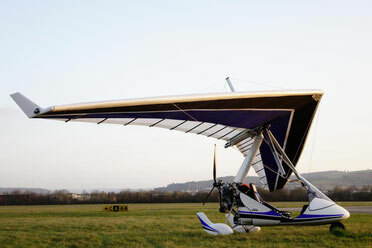 At the end of 2005 the king post high performer Kite was introduced and 2007 saw the lightweight UL-wing Pico L for the new 120 kg class for solo trikes. The year 2007 ends with a tragic event: Horst Zimmer falls to his death, when he forgets to hook in during test flying a new wing for a client. In a tragic way Horst was taken from our midst. In all the development of the Bautek aircrafts the goal was always, to offer better performance only within quality-seal conforming safety parameters; this mostly excludes the production of highly modified competition wings. Most Bautek pilots are performance conscious fun-flyers, who do not want to compromise safety and value well-balanced flying characteristics and perfect service most . Hang gliding is their hobby and not their profession! Day to day the Bautek aircrafts proof despite these constrains their superior performance capabilities, which are not the least based on the many patents or brand name protected innovations. You are most welcome should you be interested in a visit of our factory and maybe a tour of Trier, the oldest city in Germany.